Google’s throwing its weight around and using its latest edition of its Chrome browser to make the web a little safer by shaming sites that haven’t implemented the more secure data transfer protocol HTTPS—which keeps bad actors from digitally watching over your shoulder as you browser. 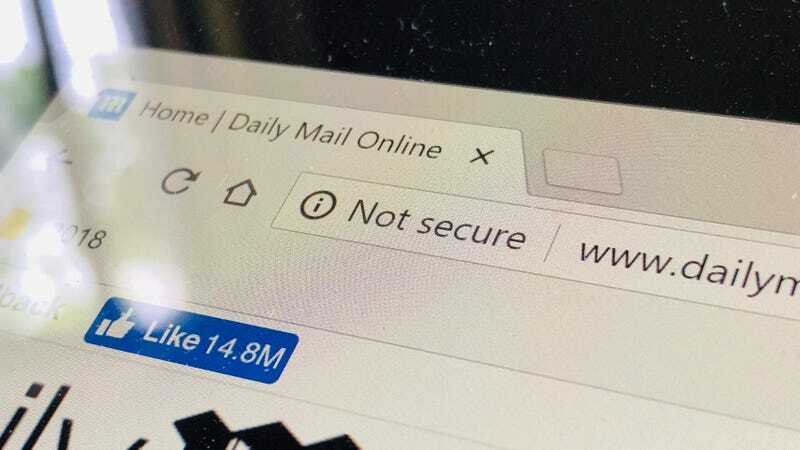 BBC reported the browser’s URL bar will now show the phrase “Not secure” when visiting sites that have failed to implement HTTPS. It could be the kick in the pants companies need to finally secure those websites. Chrome isn’t new to the whole shame thing. The company has previously said it would show a “Not secure” notice on sites that collected personal information like passwords or payment information, and has. Now version 68 will show the notice on every site without HTTPS too, making the security feature (or lack thereof) much more apparent. Why No HTTPS? maintains a list of popular sites that haven’t implemented HTTPS and other security protocols. It includes sites like Alibaba, Speedtest.net, the Daily Mail, BBC America, and IMDb. You know, the popular ones visited by millions of people on a daily basis. 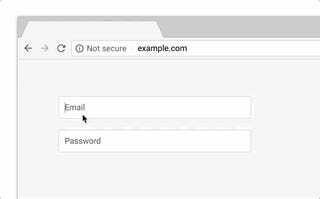 HTTPS encrypts the data sent between you and the site you’re visiting, protecting you from hackers who would be able to intercept an unencrypted data transfer and effectively see the same thing you see (including your password or credit card information). The more sites using HTTPS, the less likely it is for any of your private data to be stolen. That doesn’t mean you should necessarily stop visiting. 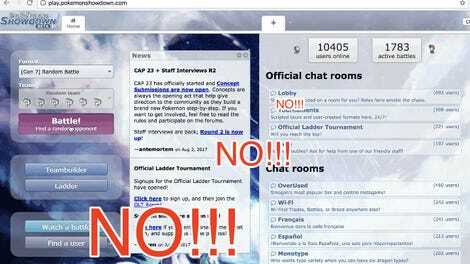 Just avoid providing any personal information on those sites.